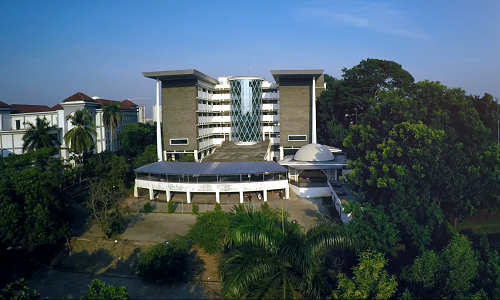 Auditorium, UIN NEWS Online – UIN Jakarta Leaders asked lecturers and staffs that will be on duty to be invigilator to supervise the exam and to serve with a smile. Leaders also expected no discriminatory handling against test takers with or without veiled. Thus was said by the Head of Bureau of Academic Administration, Student Affairs and Cooperation (BAAKK) Drs Zaenal Arifin MPdI while presiding the meeting on preparation of UIN Jakarta Selection of New Student Admissions at Harun Nasution Auditorium on last Thursday (6/8) . There were also the Head of Academic Section Ir Yarsi Berlianti MSi be present on the meeting. “We must understand that all test takers mostly unable to memorize the location in UIN Jakarta campus and the characters in it. Therefore we ask the supervisors to serve them well and with a smile, for example when direct them to test location, “he said. 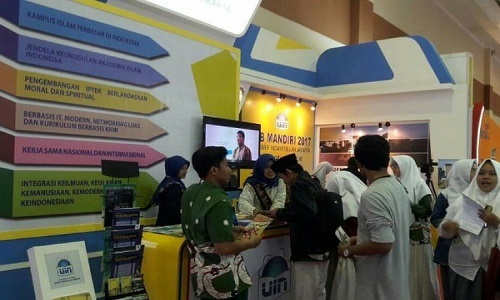 Zaenal said, participants of SPMB Mandiri academic year 2017/2018 reaches more than 17,000 people. They came from various regions and schools and with their different characters. To accommodate the number of participants, the committee has prepared several locations to be pointed out, which were on campus 1 and campus 2, including non-lecture buildings as well as nearby schools. For addressing the building and the classrooms, participants have also been given clear information on their examination card. “Insya Allah, the address is quite clear, but we still have to direct them in case of worries that many of them unable to memorize the location fully. Therefore, we asked supervisors and other officers to provide the best service to them,” he said. On giving service to participants who are not wearing hijab, Zaenal requested supervisors not to take sides action. “If any participants are not wearing hijab do not take sides, for example prohibiting them to take the exam. We need to consider that they were prospective students so it is okay for them to take the exam,” he said. As for the veiled participants, the supervisor is asked to examine them carefully before the test. It was concerned that the test taker is not the original woman or a jockey that pretend to be test taker. “Yes, they should be checked too. We were worried to find mustache person at the time we opened the veil,”he said.